The full-frame Nikon D810 is one great camera that’s worth trading in your older gear or breaking into that rainy day fund – it’s simply that good. The Nikon D810 is a monster. Not only does it have a 36.3-megapixel full-frame (FX) sensor – currently the most pixels of any digital camera other than medium format models – it feels like a tank and has a price ($3,300, body only) that’ll scare off most shutterbugs. 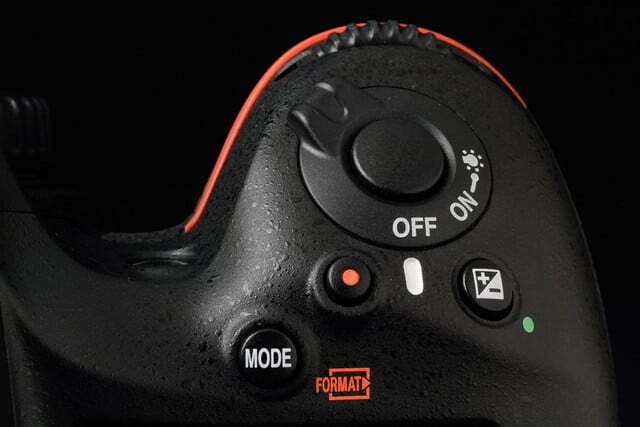 Then again, the D810 is made for enthusiasts and pros, not necessarily your casual photographer. Still, it’s a state-of-the-art DSLR we couldn’t wait to use, and it delivers everything a full-frame camera should. 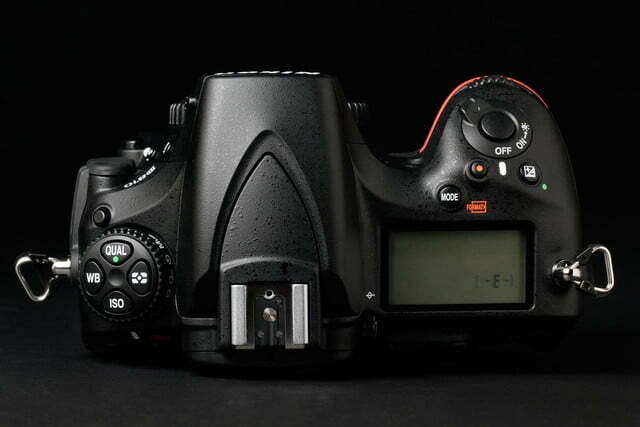 The D810 weighs close to 2 pounds, and that’s without the battery and lens. Nikon supplied the 24-70mm f/2.8 G AF-S Nikkor zoom lens ($1,899) for our review, which also tips the scales at nearly 2 pounds. Attach the supplied lens hood and you’ve created a rig befitting of a fashion week runway photographer. It’s big, heavy, and definitely impressive. 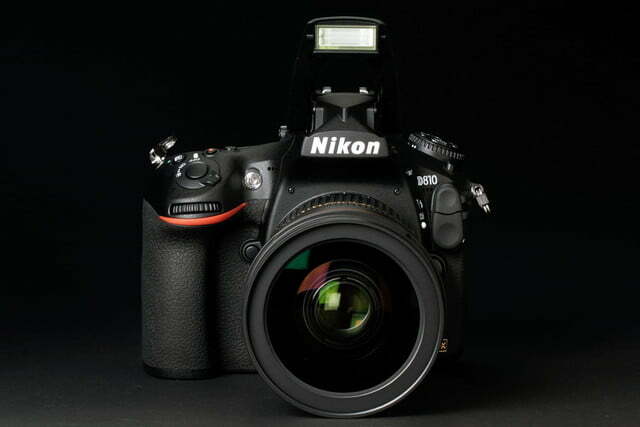 The body measures 5.8 x 4.9 x 3.3 inches, and looks like other members of Nikon’s high-end full-frame lineup, such as the new 24MP D750; it most resembles the D800/D800E duo that it’ll eventually replace. In other words, this is a utilitarian piece of gear and won’t win any beauty contests. But really, who cares? 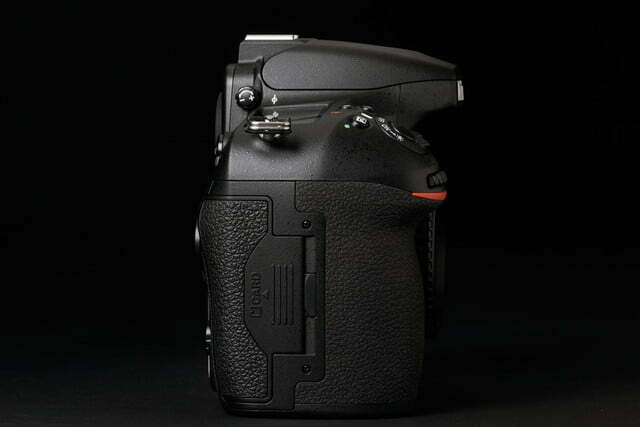 The raison d’etre of the D810 is taking outstanding stills and videos. The key feature on the front is the Nikon F mount, offering dozens of lens options. 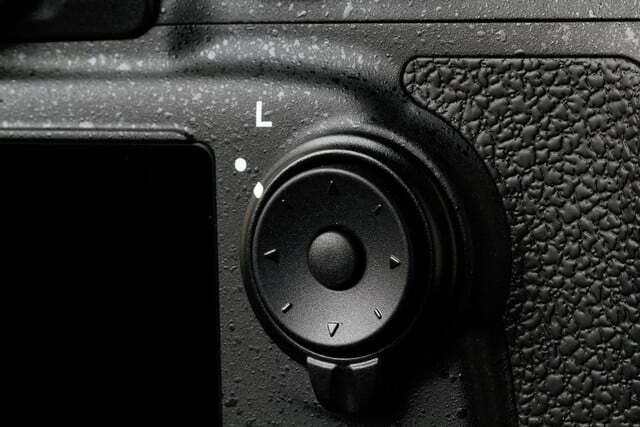 Also here are Depth of Field Preview and customizable Function buttons, as well as a jog wheel on the grip and an AF Assist lamp to help with focus in low light. You’ll also find stereo mics plus flash sync and 10-pin remote terminals under individual rubber covers next to the lens release button. Nearby is a button to pop open the flash, another to access bracketing (taking several shots, but with different settings), as well as a lever to choose between auto and manual focus. 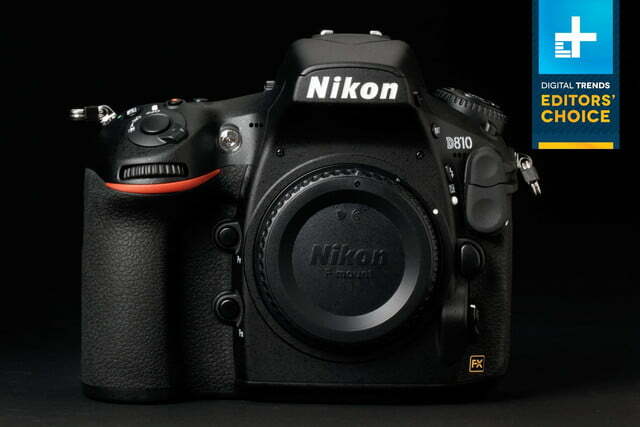 The D810 won’t win any beauty contests, but who cares when it takes outstanding stills and videos. Since this camera is targeted to pros and serious enthusiasts, forget a classic mode dial with 10 point-and-shoot options. 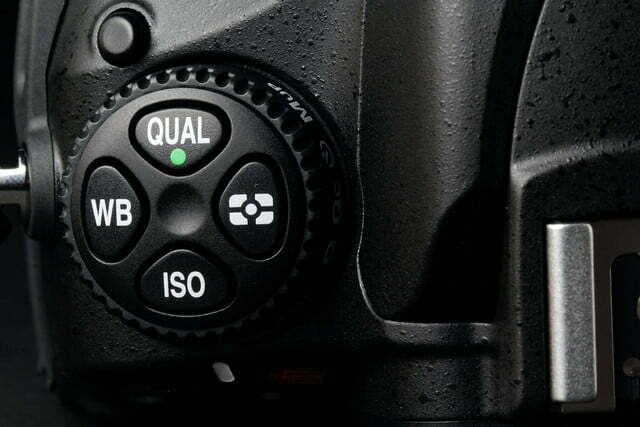 There is a Mode button near the shutter with access to Program AE, Aperture/Shutter Priority, and Manual when you press it and turn the rear jog dial. Like anything, it takes a little time getting used to, but it’s not rocket science. On left of the top deck is a two-layer dial with keys to access white balance, quality, metering, and ISO; the range here is 32 to 51,200. 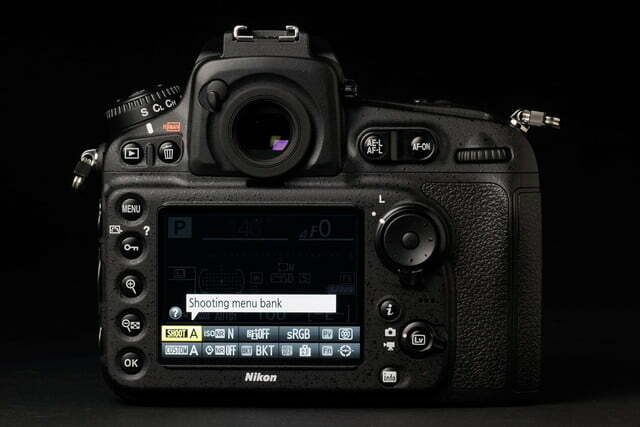 The lower dial lets you change shooting speed, self-timer, and mirror-up, among others. 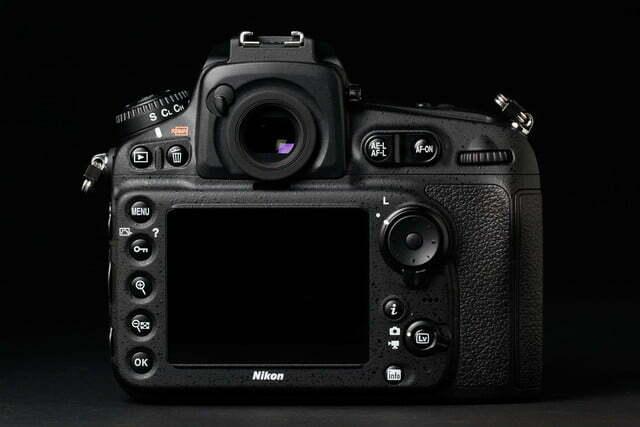 Unlike some really high-end DSLRs like the Nikon D4S, this one has a built-in flash, which is a good feature. There’s also a hot shoe for optional mics and flashes. 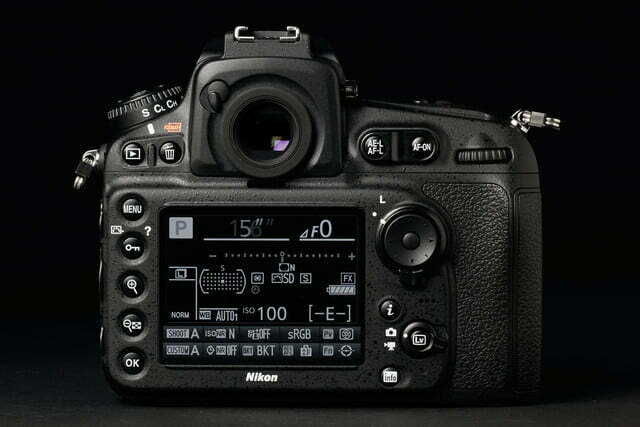 It has a large control panel to quickly check your settings, a red-dot video button, access to exposure compensation, and the shutter. The grip can safely accommodate the hands of a giant, but you should still conduct your own hands-on test – especially for a $3,300 camera. The two key features on the back are the huge viewfinder with diopter control and a fixed-position 3.2-inch LCD (rated 1,229K dots) with a supplied protective screen. The display worked well under almost all ambient light conditions, including direct sunlight, while the viewfinder is big and easily readable. With so much rear real estate – even with the LCD – there’s plenty of room for the myriad buttons which have easy-to-read labels. There’s also another jog wheel, a controller with center OK button, and a Live View button with a switch to choose between movies and stills. The right side has the card compartment and, befitting its pro roots, there are slots for Compact Flash and SD media. Naturally, with a 36MP full-frame camera you should opt for high-speed, high-capacity cards; Nikon suggests at least 30 Mbps, and we used 45. 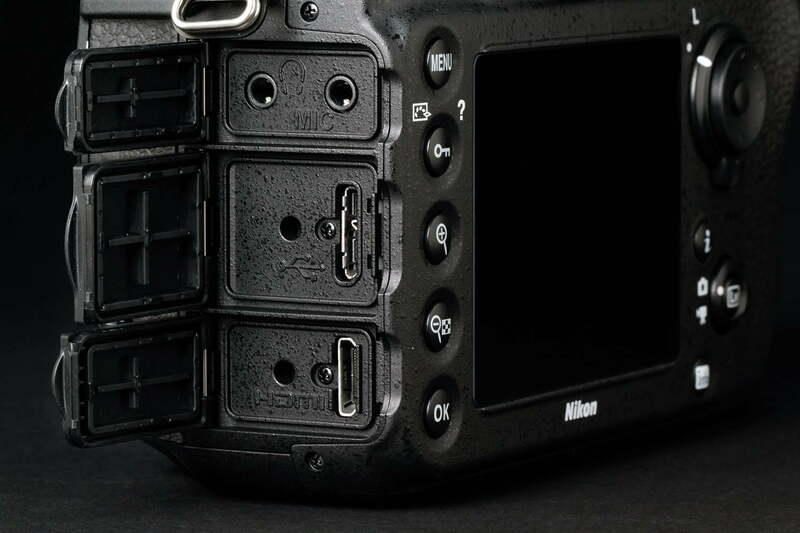 On the left side are three individual doors covering headphone and mic jacks, and USB 3.0 and HDMI connections. 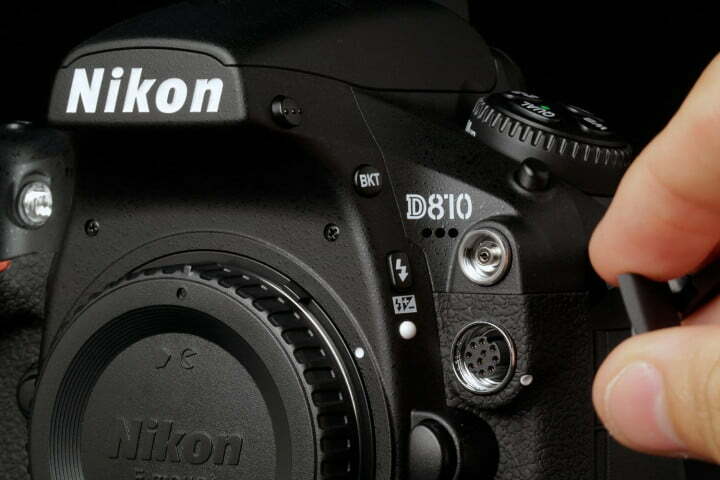 The D810 is one of the few cameras compatible with high-speed USB 3.0. On the bottom is the tripod mount and battery compartment. The supplied power source is rated a whopping 1,200 shots (per CIPA rating). Needless to say, this one will keep going all day, and then some. 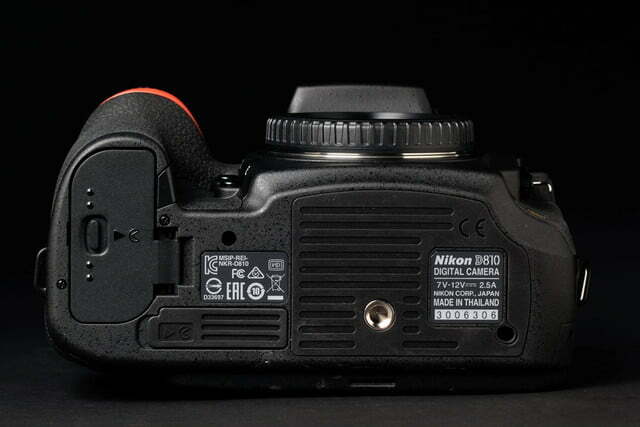 The Nikon D810 carton contains the body, battery, and plug-in charger. There’s also a strap, various caps, a USB cable, cable clips, and a huge 504-page user’s manual. It’ll pay to eventually read it all, in order to make the most of this photographic tool. Nikon also supplies a CD with ViewNX 2 software. 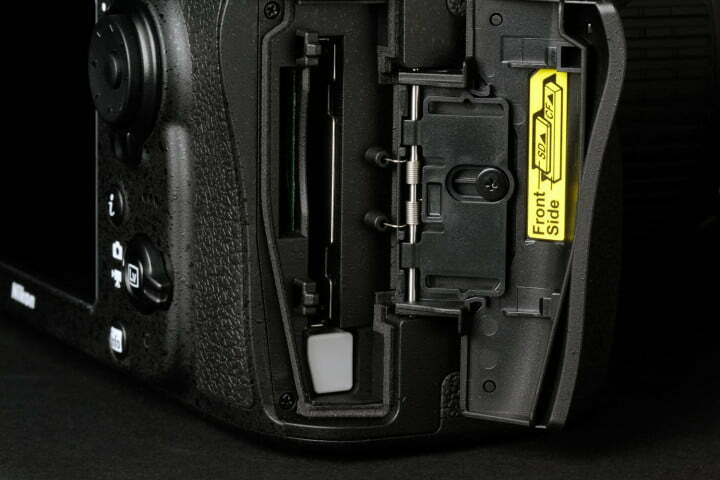 Nikon offers a limited one-year warranty for parts and labor. 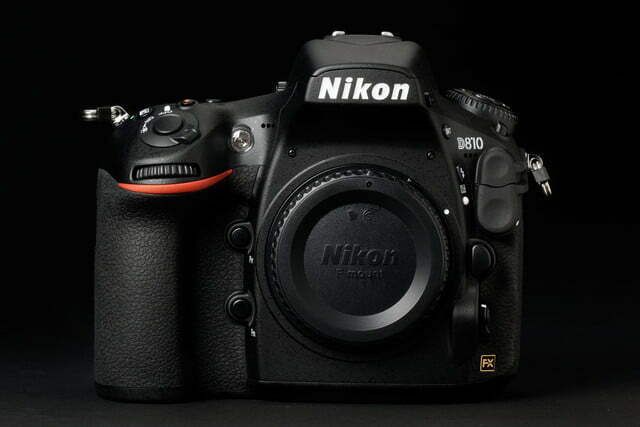 The Nikon D810 has an all-new 36.3MP full-frame sensor powered by the EXPEED 4 processor. 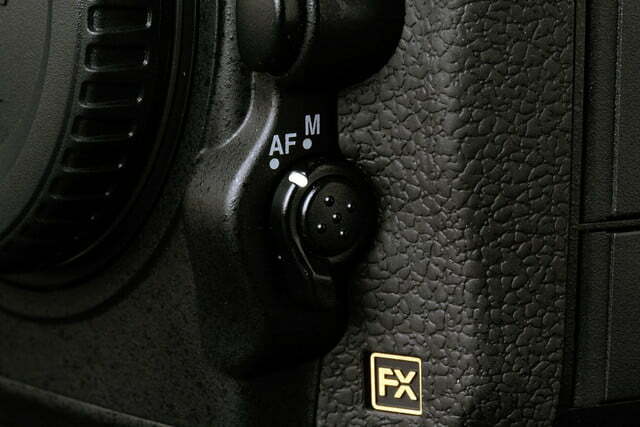 Nikon refers to full-frame as FX, versus the DX of APS-C chips. Like the D800E it replaces, the newer camera does not have a built-in low pass (anti-aliasing) filter for sharper images. This is an instance where less is more. Overall, the D810 is faster at 5 frames per second, has higher ISOs, and captures better movies than the D800/D800E duo. This all sounds wonderful on paper, but how did the camera perform? 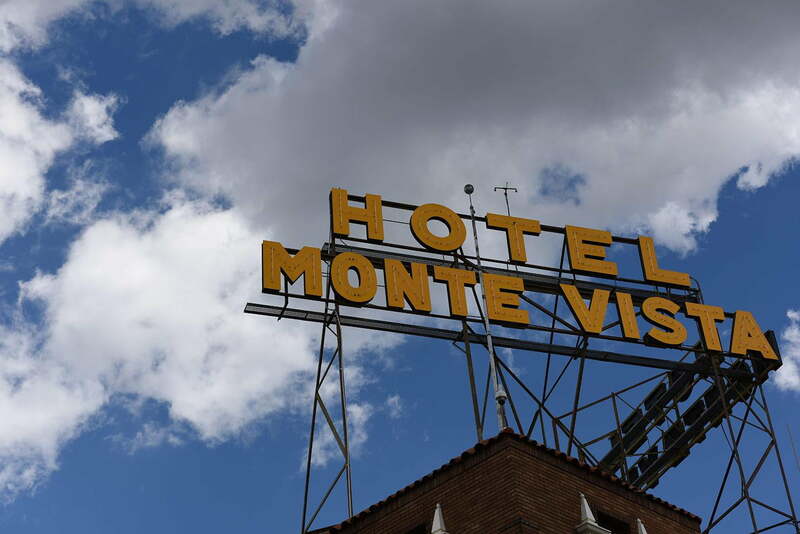 Colors are dead on with a depth and richness you just can’t achieve with a smaller sensor. As noted, Nikon supplied the AF-S Nikkor 24-70mm zoom along with the D810, so our arms got a serious workout during the review period. Even with all the weight, the rig felt balanced and comfortable. 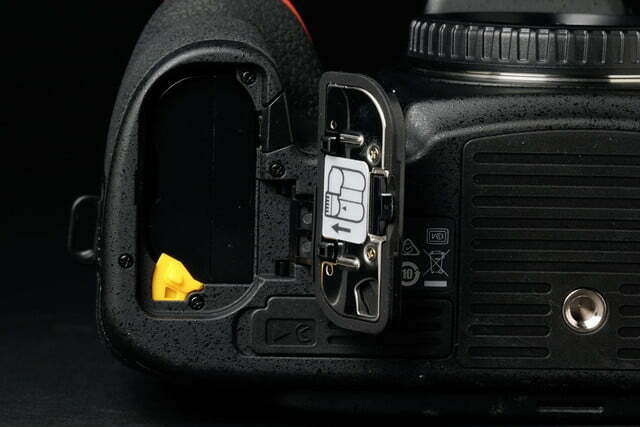 Pressing the appropriate buttons and turning the jog wheels easily changed key photo parameters. Don’t let that big user’s manual scare you off; you’ll start off quickly enough, but conquering all the nuances will take time. 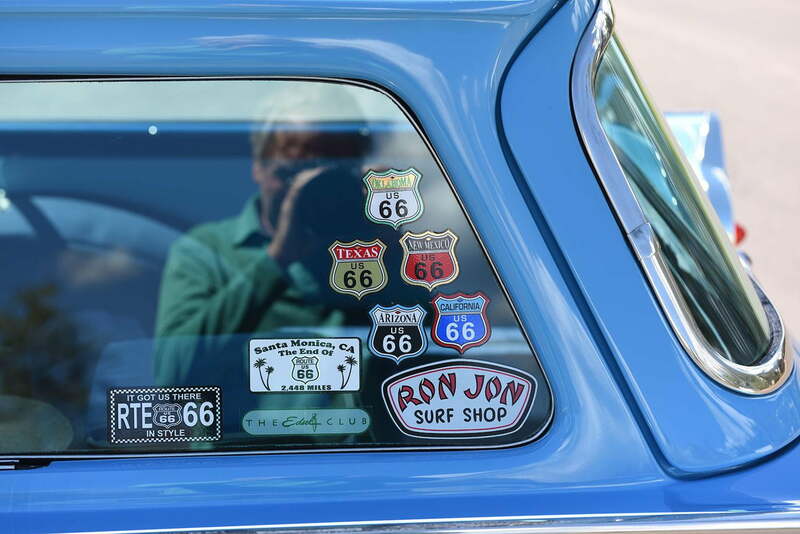 The D810 shoots JPEGs, RAW, and TIFF files but we primarily grabbed JPEG+RAW combos (7,360 x 4,912 pixels). Video was set to the max as well, for 1080/60p MOV files. Program AE was used most often but we made mode adjustments as situations warranted. 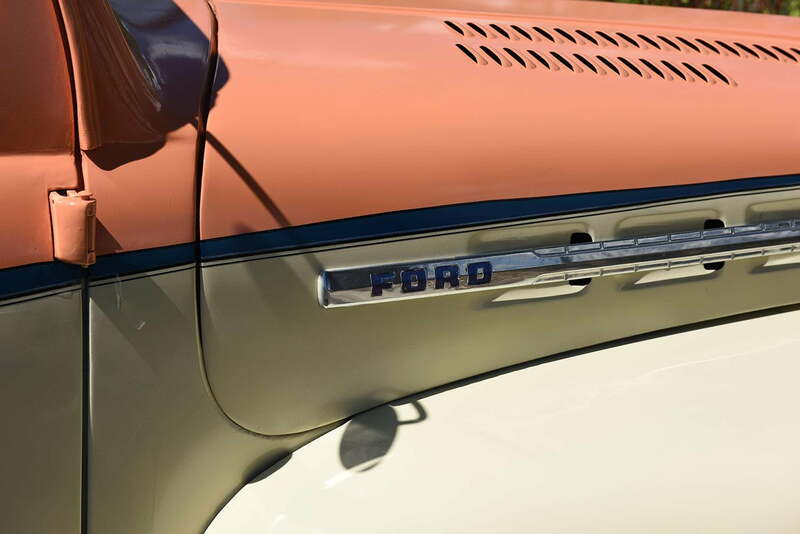 One of our favorite sessions was shooting a number of classic cars that were in Flagstaff, Ariz. for Route 66 Days (see samples). When we reviewed them on a 27-inch monitor, the images were simply spectacular. We tend to wax poetic about full-frame quality but in the case of the D810, all accolades are justified. Colors are dead on with a depth and richness you just can’t achieve with a smaller sensor. We recently reviewed the 16MP Fujifilm X-T1 and said the images approach full-frame quality. Yet, that APS-C imager, while very good, isn’t in the same league as the 36.3MP D810. 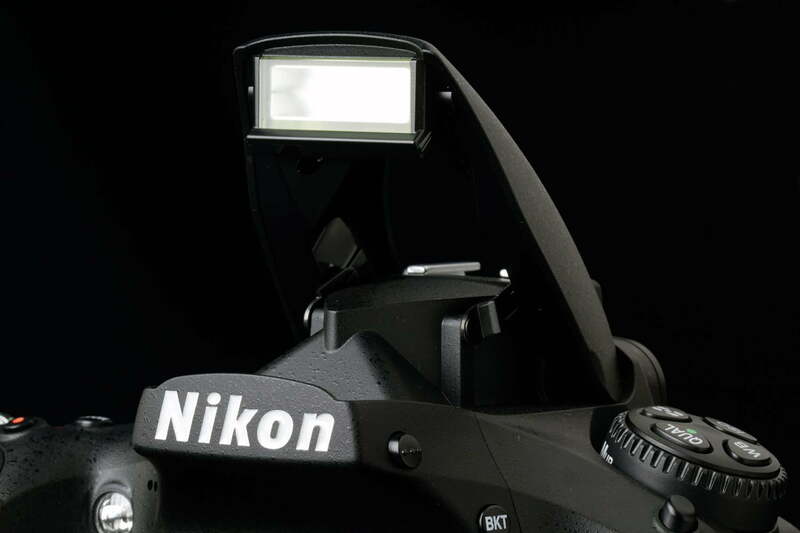 Of course, you’re spending thousands more for the Nikon, so it had better deliver the goods – and it does. Pixel-peepers will absolutely salivate over the super-sharp images captured by this heavyweight camera, especially when they’re enlarged 100-percent. 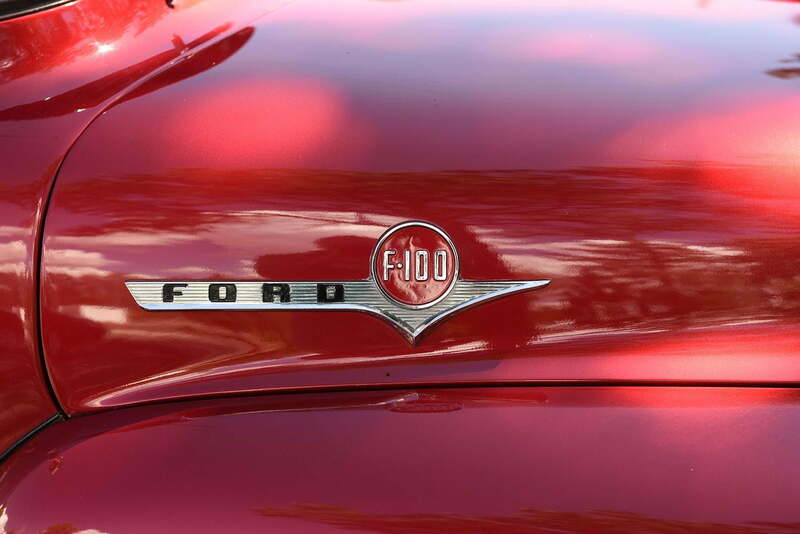 We haven’t been taken aback – in a good way – by this level of quality in a long time. 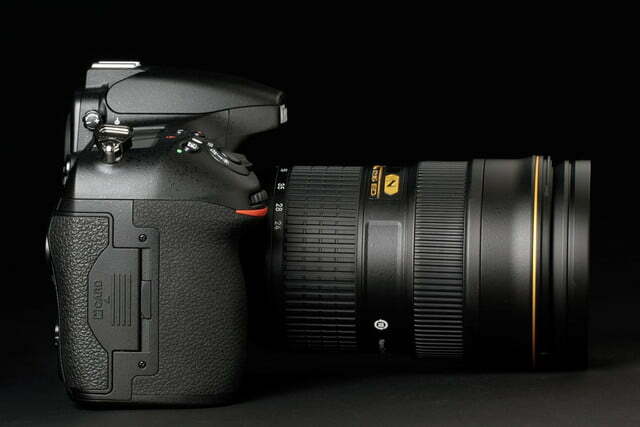 Mechanically the D810 is very responsive. 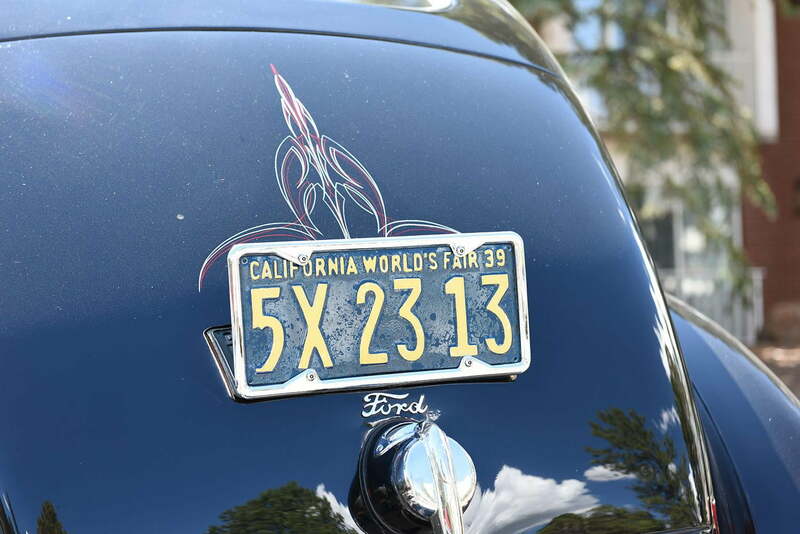 We had very few issues grabbing focus thanks to the 51-point (15 cross-type) AF system. It doesn’t do the 10 fps of the new Canon EOS 7D Mark II but handling 36.3MP full-frame images at 5 fps is impressive. 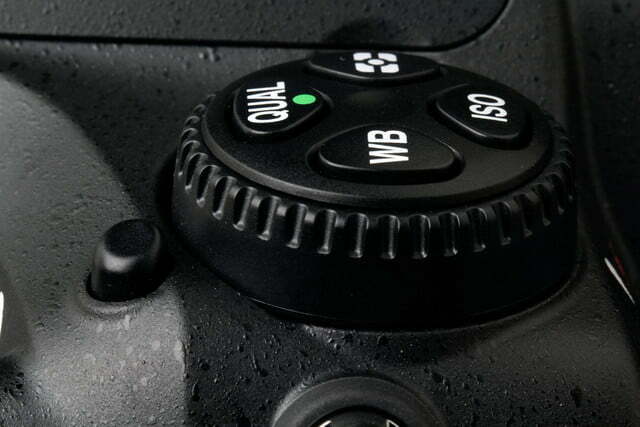 Like any high-level DSLR, the top shutter speed is 1/8,000th of a second. And for those who like to shoot without bringing too much attention to themselves, the camera has two Quiet modes (still, continuous). It’s a bit quieter than the standard setting but not nearly as quiet as the 12MP Sony A7S’ Silent Shooting mode, which doesn’t make a peep. 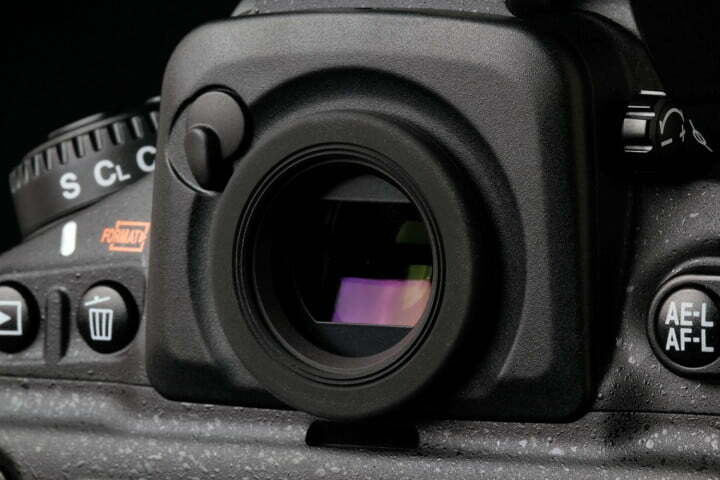 Given that it has such a large sensor, the D810 should handle ISOs well, and it does. The basic range is 64-12,800 but it can drop to 32 and go as high as 51,200. Sensitivity held steady until about 3,200, then began a gradual decline. 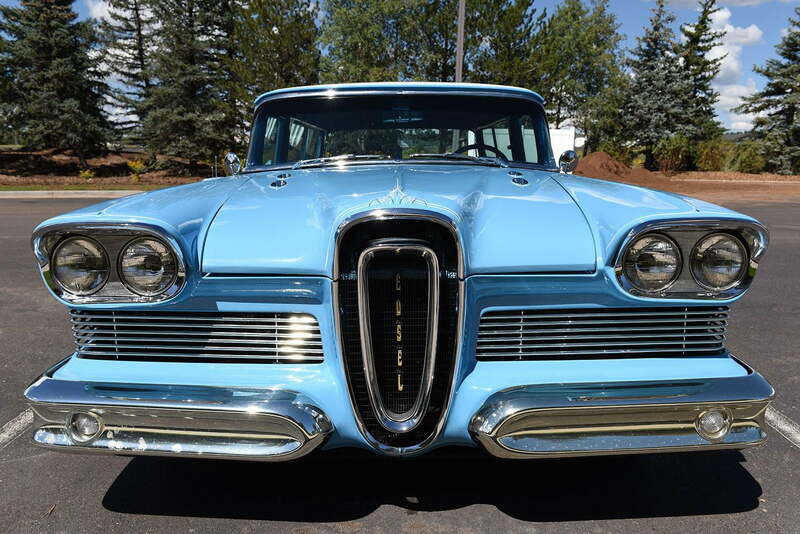 At 8,000 there’s heavy loss of detail and speckles galore. For a small image, the most we’d go is 10,000. At the upper atmosphere of 51,200, frames are filled with dots and dramatic color shifts. It’s not the place to be, but at lower settings there’s minimal interference and the results are terrific. 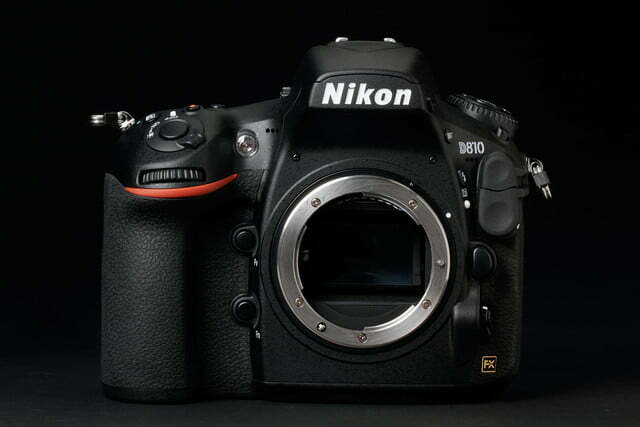 The D810 is now in the land of 1080/60p video capture, up from the D800’s 30p. 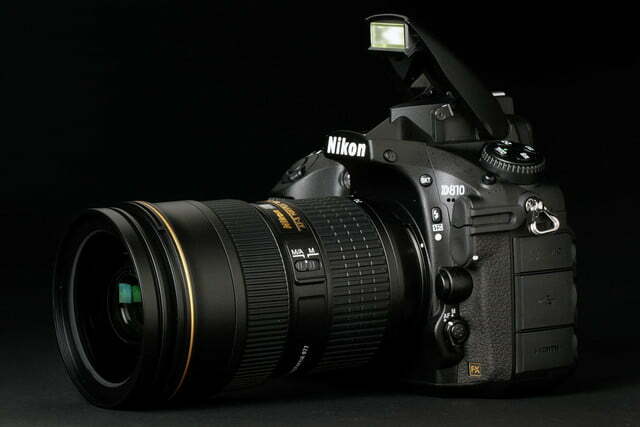 Nikon even offers a special Filmmaker’s kit with several prime lenses and an outboard recorder for $5,000. Videos are very accurate, with the rich colors one expects of a full-frame sensor. We’d say the results of Sony’s full-frame XAVC-S movies, courtesy of the A7S, are still a bit more fluid than Nikon’s MOV files, but the D810 takes the prize for tone and feel. Nikon’s AF system is still not as fast and accurate in auto mode as the competition, so we suggest sharpening your skills and using manual focus. 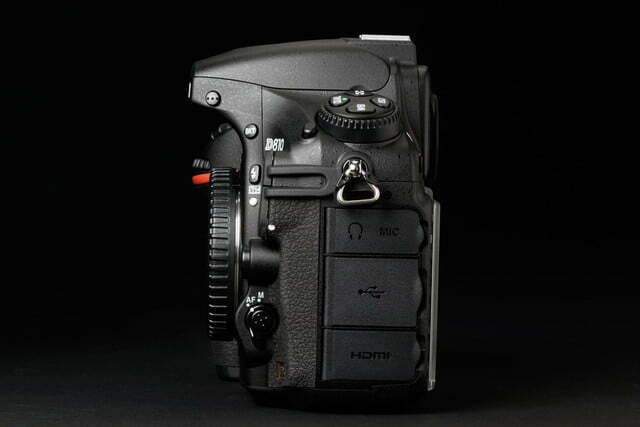 Note: The D810 doesn’t handle 4K video like the A7S, but we imagine this will be upgraded with the next generation. 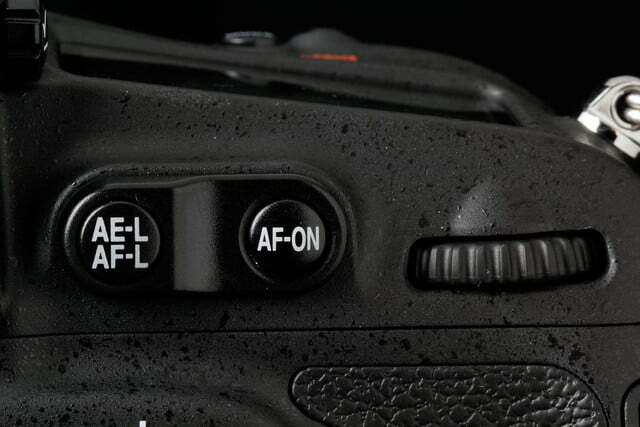 The D810 does not have built-in Wi-Fi, but Nikon does offer an optional Wi-Fi dongle if this feature is appealing. The Nikon D810 is a slam-dunk Editors’ Choice. Our only serious knock is the price – $5,000 total if you add quality glass – which is serious money and places the DSLR in rarefied company. We can easily see pros and imaging artists taking the plunge. As for the serious enthusiast, it’s just a matter if their budgets can stand the pain. This is one great camera that’s worth trading in your older gear or breaking into that rainy day fund – it’s simply that good. If budget is prohibitive but you’re looking to step up to a full-frame DSLR, check out the new Nikon D750. It offers many of the benefits we’ve mentioned here, but has fewer megapixels; in return, it costs much less.